In Ali Abdel Khaleq’s El-Aar (Shame, 1982), El-Hajj Abdel Tawab (Abdel Badie Arabi), a pious spice merchant, dies in a car crash. Following his untimely death, it is revealed that he was a drug dealer; the riches came not from selling hibiscus, but trading hashish. The veil is lifted. His children must now make the choice—either to retrieve their inheritance by continuing with the trade or letting go of it all. Abdel Tawab had four children: Kamal (Nour El-Sherif), who joined his father in drug dealing; Shoukry, a public prosecutor (Hussein Fahmy); Adel (Mahmoud Abdel Aziz), a physician who treats drug addicts; and the youngest Leila (Ilham Shahine), a university student. The father and Kamal, on the one hand, seem convinced that there is nothing wrong with dealing cannabis, which they see as “natural plants”. Shoukry, on the other hand, is at first opposed to Kamal’s position. At work, he deals with right and wrong. He prosecutes to hail justice and the law. Yet, he twists morals and religious interpretations and, with Adel, reluctantly agrees to work with their drug lord brother. The three take on a journey to extract the merchandise, in order to sell it to another drug lord, with hopes to maintain their social class and hide their current status. The contradiction between piety and sin is also beautifully epitomised in a shot with Shoukry and Kamal. The two stand on the roof of a building, opposite one another, separated by a minaret. This is a low-angle shot, making the minaret’s presence more daunting. 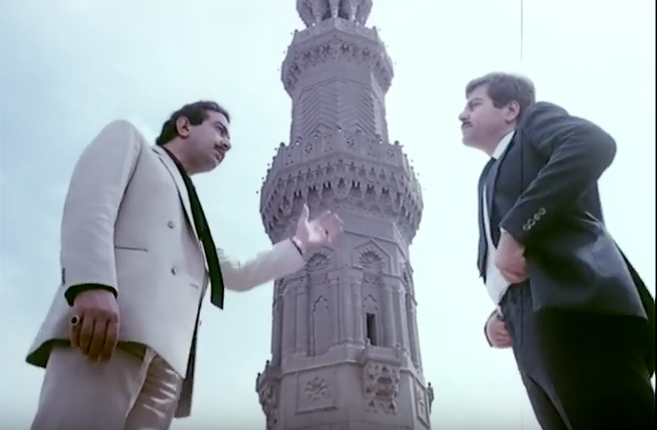 Kamal explains to his brother that their father paid their presumed inheritance to “the big guy” and points to the minaret itself. Here, the drug dealer is confounded with the symbol of religiosity, for Kamal believes there is nothing wrong with drug dealing. Their sister Leila, however, cannot go on pretending. She leaves her husband who ignores the real reason behind the break up. When asked why, she responds: “To cover up my father’s shame and wear the garment that suits me.” Abou Zaid has carefully chosen words that highlight the contrast between who the characters thought they were and who they actually are. It is up to each of them to assume the contradiction. Adel for instance, after having found out about his father’s truth, becomes annoyed every time someone calls him “ya duktur” (doctor). But, the dissonance has taken a toll on each of the brothers at the end, a trademark in Abou Zaid’s writing. The once triumphal characters are given choices, only to find themselves in an abyss-like end. El-Aar is not a tragic story with heroes facing a moral dilemma. The title sequence, with its shots of the empty El-Hussein neighbourhood, already helps us see the end. 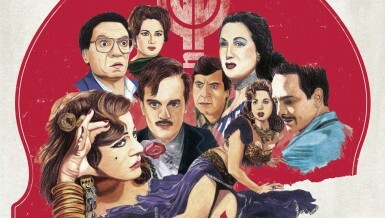 Rather, through the trope of pretending, metaphorized in the elusive character of drugs and crystallised in the contradictions, we may see a Fyodor Dostoyevsky in Abou Zaid. El-Aar asks about the limits of being human.